Lianshe Fu got his first University degree (bachelor) in Chemistry in China (1987). In the same year, he was approved to study for a Master degree majored in Analytical Chemistry in Changchun Institute of Applied Chemistry (CIAC), Chinese Academy of Sciences (China). After graduation in 1990, he worked as an Assistant Researcher to study the lanthanide (Ln) luminescence analysis in CIAC. In order to enlarge his research fields, he started his PhD study on preparation and luminescence properties of lanthanide-based organic/inorganic hybrids by sol-gel methodfrom 1996. 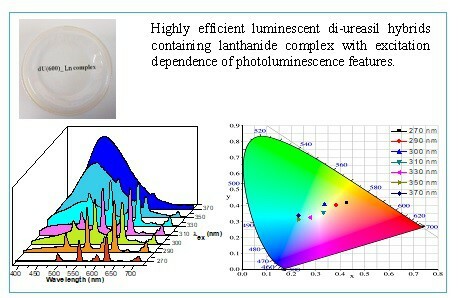 This research field is also related to his previous research work on Ln luminescence analysis. 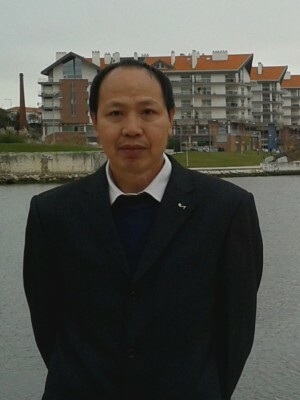 Upon got his PhD degree, he worked as a postdoctor in Inorganic Materials Laboratory (LMI, Université Blaise-Pascal, France) under the supervision of Professor Philippe Boutinaud to study the luminescence properties for Ln-doped mesoporous materials. After being awarded a merit scholarship from Fundação para a Ciência e a Tecnologia (FCT, Portugal) in 2002, he did a Postdoctoral work under the supervision of Professor Luís D. Carlos in University of Aveiro (UA) in Portugal. 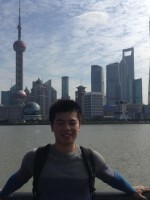 During 2006, since there was a collaboration research, as a Researcher Associate Senior, he worked in Professor Tanner’s group (City University of Hong Kong, Hong Kong) for eight months to study rare earth luminescence. From November of 2007 he was a full-time researcher in CICECO (UA, Portugal). Ming Fang, Lianshe Fu, Sandra F. H. Correia, Rute A. S. Ferreira and Luís D. Carlos, “Highly efficient luminescent polycarboxylate lanthanide complexes incorporated into di-ureasils by an in-situ sol-gel process”, Polymers, 2018, 10, 434. Ming Fang, Lianshe Fu, Rute A. S. Ferreira and Luís D. Carlos, “White-light emitting di-ureasil hybrids”, Materials, 2018, 11, 2246. Sandra F. H. Correia, Ana R. Frias, Lianshe Fu, Raquel Rondão, Edison Pecoraro, Sidney J. L. Ribeiro, Paulo S. André, Rute A. S. Ferreira, and Luís D. Carlos, Large-area tunable visible-to-near-infrared luminescent solar concentrators, Adv. Sustainable Syst., 2018, 1800002. 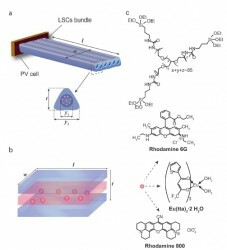 Raquel Rondão, Ana R. Frias, Sandra F. H. Correia, Lianshe Fu, Verónica de Zea Bermudez, Paulo S. André, Rute A. S. Ferreira, and Luís D. Carlos, “High-performance near-infrared luminescent solar concentrators”, ACS Appl. Mater. Interfaces, 2017, 9, 12540–12546. Vânia. T. Freitas, Lianshe Fu, Ana M. Cojocariu, Xavier Cattoën, John R. Bartlett, Rozenn Le Parc, Jean-Louis Bantignies, Michel Wong Chi Man, Paulo S. André, Rute A. S. Ferreira, and Luís D. Carlos, Eu3+-Based Bridged Silsesquioxanes for Transparent Luminescent Solar Concentrators, ACS Appl. Mater. Interfaces, 2015, 7, 8770−8778. Xiao-Feng Tan, Jian Zhou, Hua-Hong Zou, Lianshe Fu, and Qiuling Tang, “A series of novel lanthanide-germanate oxo-clusters decorated by 1,10-phenanthroline chromophores”, Inorg. Chem., 2017, 56, 10361−10369. Hong Xiao, Jian Zhou, Xing Liu, Hongping Xiao, Rute A. S. Ferreira, Luís D. Carlos, and Lianshe Fu, “A novel 3-D cuprous iodide polymer with a high Cu/I ratio”, Dalton Trans., 2018, 47, 3253–3257. Lianshe Fu, R. A. Sá Ferreira, N. J. O. Silva, L. D. Carlos, V. de Zea Bermudez, J. Rocha, “Photoluminescence and quantum yields of urea and urethane cross-linked nanohybrids derived from carboxylic acid solvolysis”, Chem. Mater., 16 (8), 1507-1516 (2004). Lianshe Fu, R.A. Sá Ferreira, M. Fernandes, S.C. Nunes, V. de Zea Bermudez, Graham Hungerford, J. Rocha, L.D. Carlos, “Photoluminescence and quantum yields of organic/inorganic hybrids prepared through formic acid solvolysis”, Opt. Mater. 30 (7), 1058-1064 (2008). Lianshe Fu, R. A. Sá Ferreira, S. S. Nobre, L. D. Carlos, J. Rocha, “Organically modified silica xerogels from 3-aminopropyltrimethoxysilane and 3-isocyanatepropyltriethoxysilane through carboxylic acid solvolysis”, Mater. Sci. Forum, 514-516, 108-112 (2006). 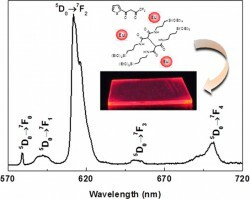 Lianshe Fu, R. A. Sá Ferreira, N. J. O. Silva, A. J. Fernandes, Paulo Ribeiro-Claro, I. S. Gonçalves, V. de Zea Bermudez and L. D. Carlos, “Structure-photoluminescence relationship in Eu(III) β-diketonate-based organic/inorganic hybrids. Influence of the synthesis method: carboxylic acid solvolysis versus conventional hydrolysis”, J. Mater. Chem., 15 (30), 3117-3125 (2005). Lianshe Fu, Maria Rute Ferreira André, Luís Dias Carlos and João Rocha, “In-situ synthesis of lanthanide complex in urea cross-linked organic/inorganic hybrids via carboxylic acid solvolysis”, J. Lumin., 122-123, (265-267) 2007. Lianshe Fu, Qingguo Meng, Hongjie Zhang, Shubin Wang, Kuiyue Yang, Jiazuan Ni, “In-situ synthesis of terbium-benzoic acid complex in sol-gel derived silica by a two-step sol-gel method”, J. Phys. Chem. Solids, 61 (11), 1877-1881 (2000). Lianshe Fu, Hongjie Zhang, Shubin Wang, Qingguo Meng, Kuiyue Yang and Jiazuan Ni, “Preparation and luminescence properties of the ternary europium complex incorporated into an inorganic/polymer matrix by a sol-gel method”, J. Sol-Gel Sci. Technol., 15 (1), 49-55 (1999). Lianshe Fu, Hongjie Zhang, Shubin Wang, Qingguo Meng, Hua Shao, Jiazuan Ni, “Preparation and luminescence properties of terbium-sal synthesized in silica matrix by a two-step sol-gel process”, J. Mater. Sci. Technol., 15 (2), 187-189 (1999). Li-Ning Sun, Hong-Jie Zhang, Lian-She Fu, Feng-Yi Liu, Qing-Guo Meng, Chun-Yun Peng, and Jiang-Bo Yu, "A new sol-gel material doped with an erbium complex and its potential optical-amplification application”, Adv. Funct. Mater., 15 (6), 1041-1048 (2005). H. R. Li, J. Lin, H. J. Zhang, L. S. Fu, Q. G. Meng, S. B. Wang, “Preparation and luminescence properties of hybrid materials containing europium (III) complexes covlaently bonded to a silica matrix”, Chem. Mater., 14 (9), 3651-3655 (2002). H. R. Li, J. Lin, H. J. Zhang, H. C. Li, L. S. Fu, Q. G. Meng, “Novel, covalently bonded hybrid materials of europium (terbium) complexes with silica”, Chem. Comm., (13), 1212 (2001). Patricia P. Lima, Rute A. S. Ferreira, Ricardo O. Freire, Filipe A. Almeida Paz, Lianshe Fu, Severino Alves Jr., Luis D. Carlos, and Oscar L. Malta, “Spectroscopic study of a UV-photostable organic-inorganic hybrids incorporating an Eu3+ b-diketonate complex, ChemPhysChem, 7, 735-746 (2006). 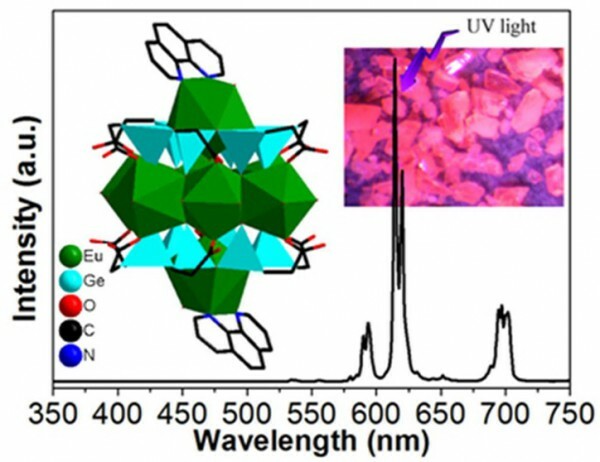 Li-Ning Sun, Hong-Jie Zhang, Qing-Guo Meng, Feng-Yi Liu, Lian-She Fu, Chun-Yun Peng, Jiang-Bo Yu, Guo-Li Zheng, and Shu-Bin Wang, “Near-infrared luminescent hybrid materials doped with lanthanide (Ln) complexes (Ln = Nd, Yb) and their possible laser application”, J. Phys. Chem. B, 109 (13), 6174-6182 (2005). Lianshe Fu, R. A. Sá Ferreira, A. Valente, J. Rocha and L. D. Carlos, “Optically Functional Nanocomposites with Poly(oxyethelene)-Based Di-Ureasils and Mesoporous MCM-41”, Microp. Mesop. Mater., 94 (1-3), 185-192 (2006). Lianshe Fu, Qinghong Xu, Hongjie Zhang , Liansheng Li , Qingguo Meng, Ruren Xu , “Preparation and luminescence properties of the mesoporous MCM-41s intercalated with rare earth complex”, Mater. Sci. Eng. B, 88 (1), 68-72 (2002). Lianshe Fu, Hongjie Zhang, and Philippe Boutinaud, “Preparation, characterization and luminescent properties of the MCM-41 impregnated with rare earth complex”, J. Mater. Sci. Technol., 17 (3), 293-298 (2001). Xianmin Guo, Lianshe Fu, Hongjie Zhang, L. D. Carlos, Chunyun Peng, Junfang Guo, Jiangbo Yu, Ruiping Deng, and Lining Sun, “Incorporation of luminescent lanthanide complex inside the channels of organically modified mesoporous silica via template-ion exchange method”, New J. Chem., 29 (10), 1351-1358 (2005). Qinghong Xu, Lianshe Fu, Liansheng Li, Hongjie Zhang, Ruren Xu, “Preparation, characterization and photophysical properties of layered zirconium bis(monohydrogenphosphate) intercalated with rare earth complexes”, J. Mater. Chem., 10 (11), 2532-2536 (2000). Q.G. Meng, L.S. Fu, H. J. Zhang, J. Lin, Y. X. Zheng, H. R. Li, S. B. Wang, Y. N. Yu, S. Y. Zhang, “Preparation and characterization of novel luminescent sol-gel films containing a Re3+ carboxylic acid complex”, J. Sol-Gel Sci. Technol., 24 (2), 131-137 (2002). Q. G. Meng, L. S. Fu, H. J. Zhang, X. H. Chuai, S. B. Wang, H. R. Li, Y. H. Li, “Preparation and optical characterization of an organoeuropium-doped sol-gel transparent luminescence thin film”, Thin Solid Films, 388 (1-2), 87 (2001). 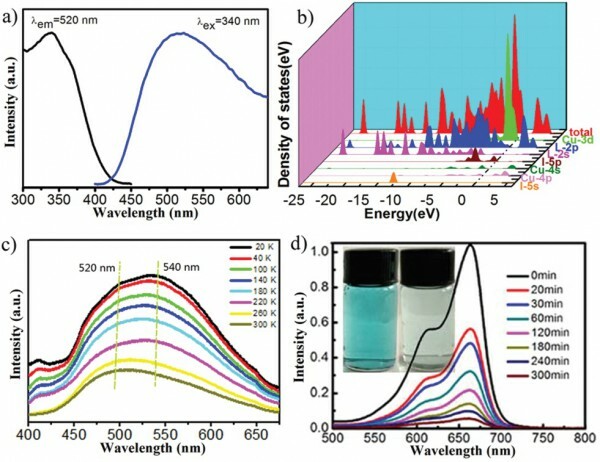 Qingguo Meng, Hongjie Zhang, Shubin Wang, Lianshe Fu, Youxuan Zheng, Kuiyue Yang, “Preparation and characterization of luminescent thin films doped with rare earth (Tb3+, Eu3+) complexes derived from a sol-gel process”, Mater. Lett., 45 (3-4), 213-216 (2000). Jun Wang, Haishui Wang, Lianshe Fu, Fengyi Liu, Hongjie Zhang, “Study on highly ordered luminescent langmuir-blodgett films of heteropolytungstate complexes containing lanthanide”, Thin Solid Films, 415 (1-2), 242-247 (2002). Jun Wang, Haishui Wang, Lianshe Fu, Fengyi Liu, Hongjie Zhang, “Luminescence Properties of LB films based on heteropolytungstate of rare earth”, Mater. Sci. & Eng. B, 97, 83-86 (2003). 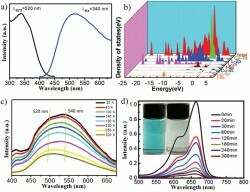 Youxuan Zheng, Lianshe Fu, Yonghui Zhou, Jiangbo Yu, Yingning Yu, Shubin Wang, Hongjie Zhang, “Electroluminescence based on a b-diketonate ternary samarium complex”, J. Mater. Chem., 12 (4), 919-923 (2002). Fengyi Liu, Lianshe Fu, Jun Wang, Qingguo Meng, Huanrong Li, Junfang Guo and Hongjie Zhang, “Luminescent film with terbium-complex-bridged polysilsesquioxanesy’, New J. Chem., 27 (2), 233-235 (2003). Qingguo Meng, Lianshe Fu, Jun Lin, Hongjie Zhang, Shubin Wang, Yonghui Zhou, Min Yu and Fengyi Liu, “Preparation and characterization of a layered transparent luminescent thin film of silica-CTAB-Tb(acac)3 composite with mesostructure”, J. Phys. Chem. Solids, 64 (1), 63-67 (2003). 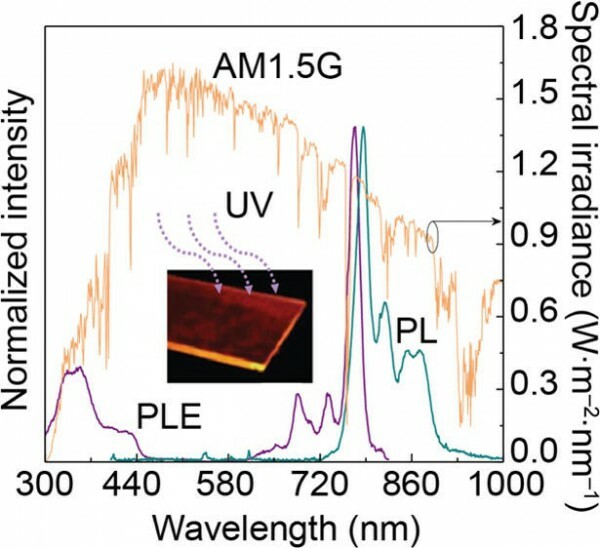 Qingguo Meng, Jun Lin, Lianshe Fu , Hongjie Zhang, Shubin Wang and Yonghui Zhou, “Sol-gel deposition of calcium silicate red emitting luminescent films doped with Eu3+ ion”, J. Mater. Chem., 11 (12), 3382-3386 (2001). Y.F. Han, L.S. Fu, L. Mafra, F.N. Shi, “Hydrothermal synthesis, crystal structures and photoluminescence properties of mixed europium-yttrium organic frameworks”, J. Solid State Chem., 186, 165-170 (2012). C.B. Liu, R.A.S. Ferreira, F.A.A. Paz, A. Cadiau, L.D. Carlos, L.S. Fu, J. Rocha, F.-N. Shi, “Highly emissive Zn-Ln metal-organic frameworks with an unusual 3D inorganic subnetwork”, Chem., Comm., (48), 7964-7966 (2012). Junfang Guo, Lianshe Fu, Huanrong Li, Youxuan Zheng, Fengyi Liu, Qingguo Meng, Jun Wang, and Hongjie Zhang, “of a luminescent complex Sm(HTH)3Phen”, Chem. Lett., 31 (10), 998-999 (2002). Jiangbo Yu, Hongjie Zhang, Lianshe Fu, Ruiping Deng, Liang Zhou, Huanrong Li, Fengyi Liu, Huili Fu, “Synthesis, structure and luminescence of a novel praseodymium(ш) complex with β-diketone”, Inorg. Chem. Comm., 6 (7), 852-854 (2003). Guo Junfang, Zhang Hongjie, Fu Lianshe, Meng Qingguo, “Crystal structure and luminescent properties of the complex [Eu(III)(TFPB)3bpy]”, Chin. J. Inorg. Chem., 20 (5), 543-546 (2004). P.A. Tanner, L.S. Fu, “Morphology of Y2O3:Eu3+ prepared by hydrothermal synthesis”, Chem. Phys. Lett., 470 (1-3), 75-79 (2009). P. A. Tanner, Po-Tak Law, Ka-Leung Wong and Lianshe Fu, “Preformed sol-gel synthesis and characterization of YAlO3”, J. Mater. Sci., 38 (24), 4857-4861 (2003). Peter A. Tanner, Po-Tak Law and Lianshe Fu, “Preformed sol-gel synthesis and characterization of lanthanide ion-doped yttria-alumina materials”, Physica Status Solidi (a), 199 (3), 403-415 (2003). Peter A. Tanner, Lianshe Fu, Lixin Ning, Bing-Ming Cheng and Mikhail G. Brik, “Soft synthesis and vacuum ultraviolet spectra of YAG:Ce3+ nanocrystals: reassignment of Ce3+ energy levels”, J. Phys. : Condens. Matter., 19, 216213(14pp) (2007). N. J. O. Silva, A. Millan, V. S. Amaral, F. Palacio, L. S. Fu, L. D. Carlos and V. de Zea Bermudez, “Iron oxide and oxide-hydroxide nanoparticles in organic-inorganic matrices”, Mater. Sci. Forum, 514-516, 142-146 (2006). N. J. O. Silva, V. S. Amaral, L. D. Carlos, L. S. Fu, S. C. Nunes and V. de Zea Bermudez, “Magnetic behavior of ferrihydrite nanoparticles in organic-inorganic hybrid matrices”, J. of Magnetism and Magnetic Mater., 290-291, 962-965 (2005). 2018, DYES AND PIGMENTS, 150, 284-292. 2018, INORGANICA CHIMICA ACTA, 471, 377-383. 2018, DALTON TRANSACTIONS, 47, 35, 12243-12252. 2017, INORGANIC CHEMISTRY, 56, 17, 10361-10369. 2017, JOURNAL OF ALLOYS AND COMPOUNDS, 713, 46-50. 2017, RSC ADVANCES, 7, 29, 17934-17940. 2017, ZEITSCHRIFT FUR ANORGANISCHE UND ALLGEMEINE CHEMIE, 643, 22, 1801-1808. 2017, JOURNAL OF INORGANIC AND ORGANOMETALLIC POLYMERS AND MATERIALS, 27, S181-S188. 2016, DALTON TRANSACTIONS, 45, 28, 11292-11296. 2016, DALTON TRANSACTIONS, 45, 12, 5253-5261.